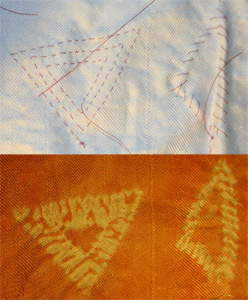 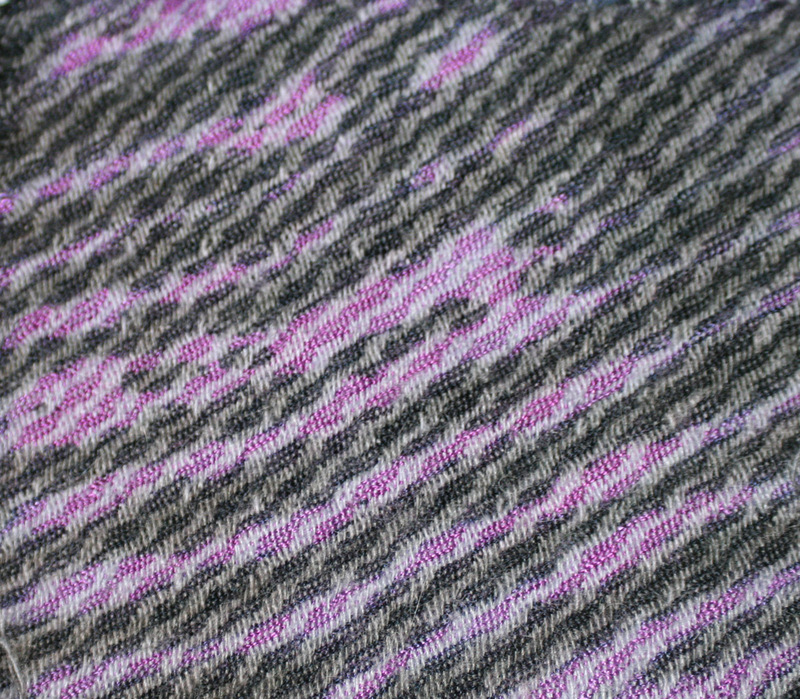 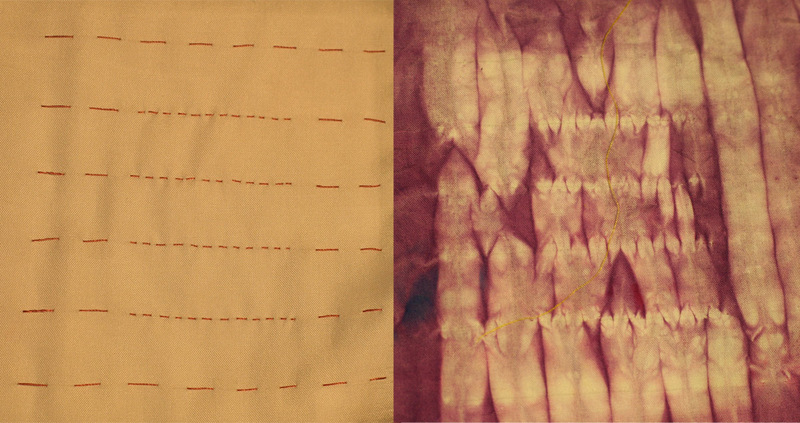 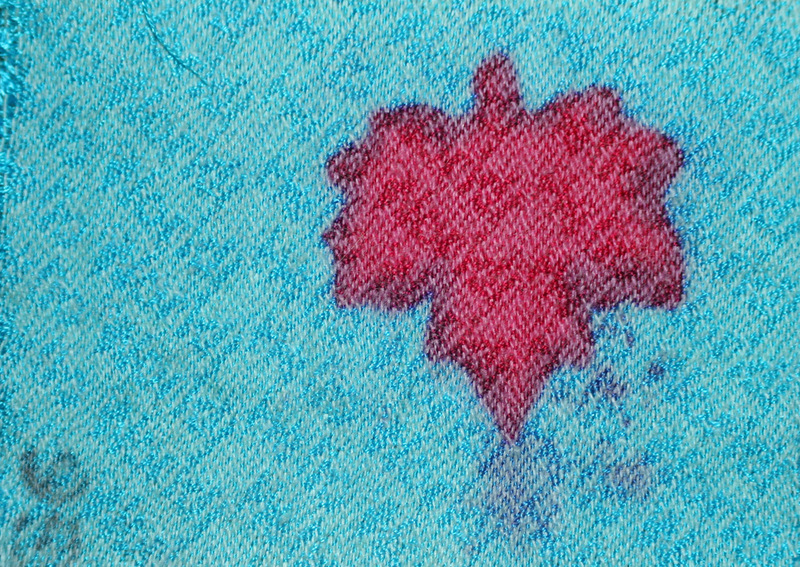 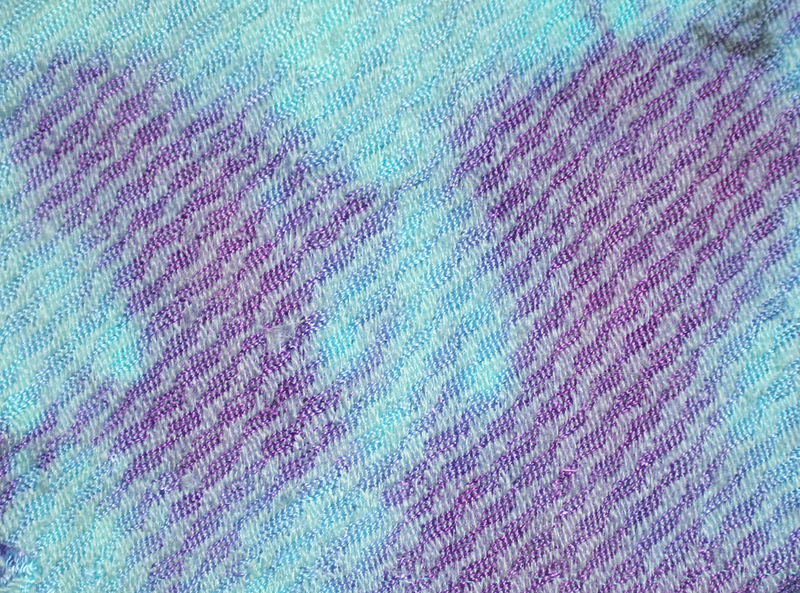 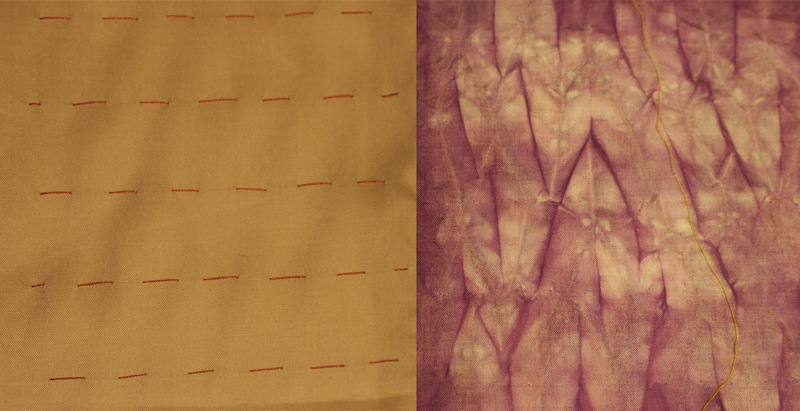 …and when I dyed it, like magic, a rich, beautiful pattern appeared! 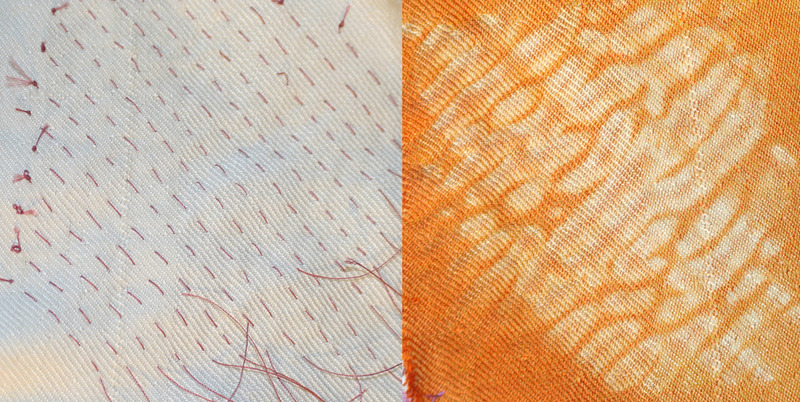 Keep in mind that these are only half the story.Â I will be overdyeing with acid dyes later this week, to dye the other half of the fabric – and am eager to see what happens! 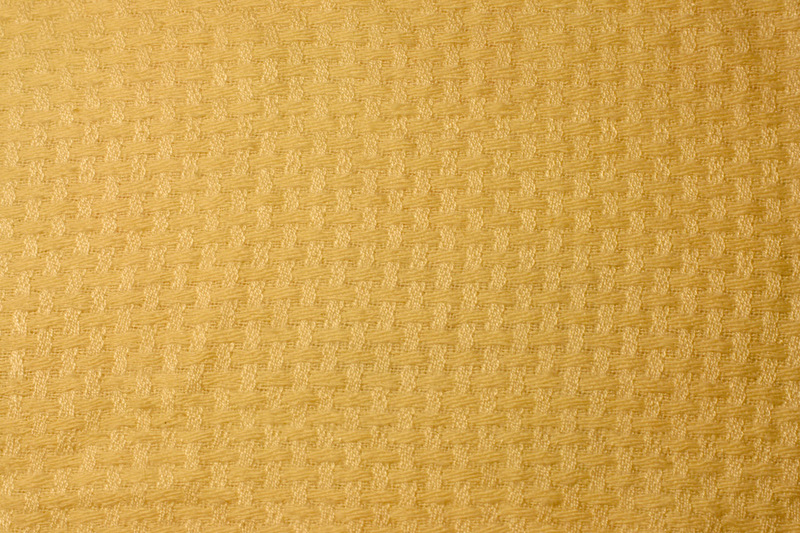 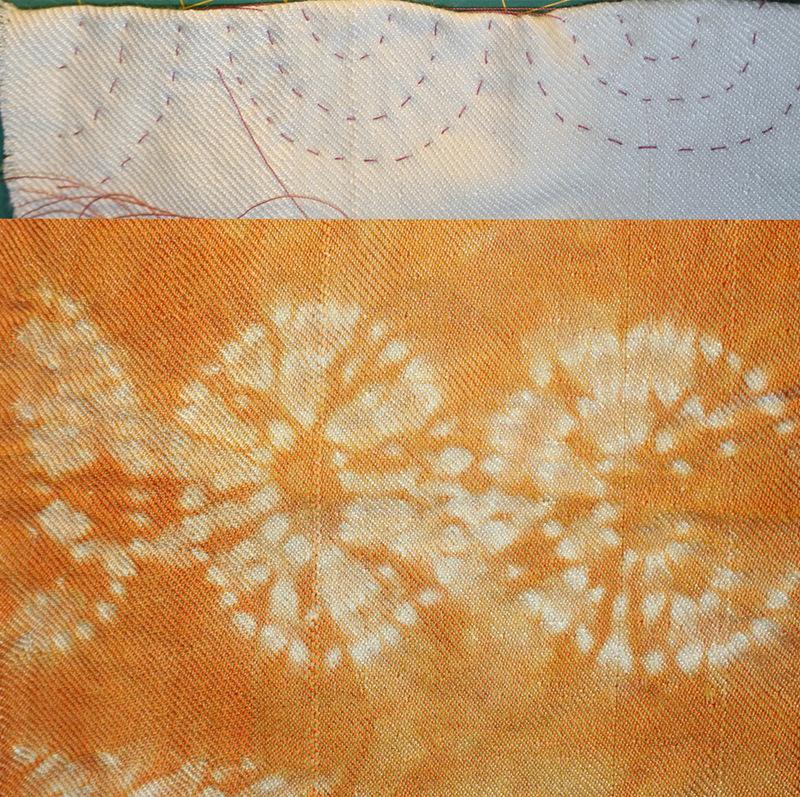 The fabric in the stitched shibori, by the way, is more of the alpaca/tencel fabric, this time dyed in rust brown and gold, which “averages out” to a rust orange.Â However, the fabric has more depth and variation than a single-fiber fabric…perhaps not obvious in the photo, but pretty neat in person. 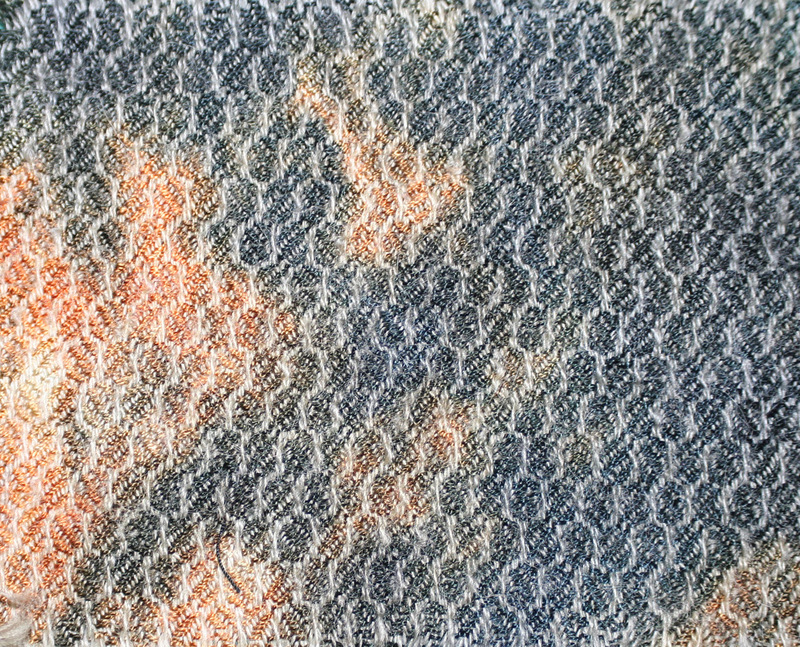 This week will be a fairly quiet week, as the cotton-wrapped polyester thread I ordered (from Atlanta Thread) will take several days to arrive.Â I plan to finish the acid dyeing, which will take a few days, and take some quiet time, cleaning up the studio and maybe reading a few of those books I have piled up!